When we parents were younger, we were always playing outside with our friends. Now, that’s all changed. Due to a blend of technology and increased wariness about the state of the world, children are spending more times indoors than ever before. While it’s nice to know where they are, it’s also just true that people – and especially kids – need to spend time in the outdoors. It’s where we naturally belong! 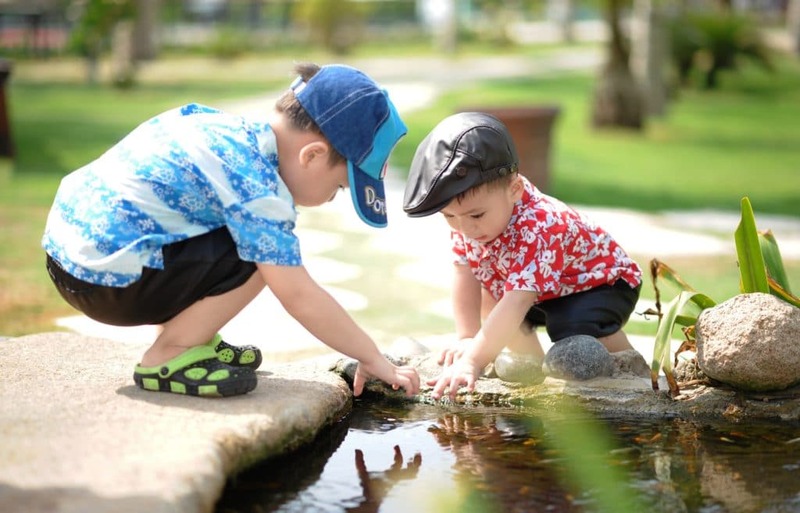 Below, we take a look at five ways you can get your children into the great outdoors more frequently. One problem that parents have is that they tell their children to play outdoors…but then throw in so many rules that it’s just not fun. Would you want to go outside if there were a million and one limitations on what you can do? So when you’re encouraging your children to put down their tablets and get outside, don’t try to limit the fun. Give them permission to explore, get dirty, and all-around have a care-free time. They’ll embrace the idea, and you’ll only have to put an extra load of washing in – no big deal. You might see other children outside, throwing a football around, and wonder why your child isn’t joining them. But what if they just have no interest in football? They’re not going to want to go and do something that they won’t enjoy. As such, it’s worthwhile finding an activity that they do enjoy. It could be as simple as throwing a frisbee around, or something more complicated – such as, say, mountain biking. Once they have something they like to do, you’ll find they’ll always be willing to go outdoors. We’re creatures of comfort. We want to make things easy for ourselves. But unfortunately, this usually means…forever being in the car, or just staying inside. To get your kids more willing to brave the elements, make going outside fun. You can get them waterproof clothing for when it’s raining, for example. Or you can take a look at cruiser skateboards, and make them willing to travel around outside, rather than in the car all the time. If outside is more fun, less uncomfortable, then they’ll be more willing to take that option. It’s a beautiful world out there, but if you live in an urban area, you might not see that side of the world all too often. So take a look at taking a trip to a beautiful region. No matter where you live, there’ll be a picturesque outdoor spot not far from your home. Go spend a day exploring with your children! We fall into habits, but they’re not always that exciting. Your kids might be more enthusiastic about the outdoors if you gather up the whole family and spend the night stargazing or watching the sunset, rather than just sitting in front of the television. Give it a go!